Japanese patients with rheumatoid arthritis and juvenile arthritis can now be treated with a biosimilar therapy of Enbrel (etanercept). The Japanese Pharmaceuticals and Medical Devices Agency (PMDA) has approved the request of YL Biologics and its collaborator Kyowa to market YLB113 as a treatment for moderate to severe rheumatoid arthritis and juvenile idiopathic arthritis. “We are delighted to receive the approval from the authorities,” Toshihiko Hibino, president of YL Biologics, said in a press release. 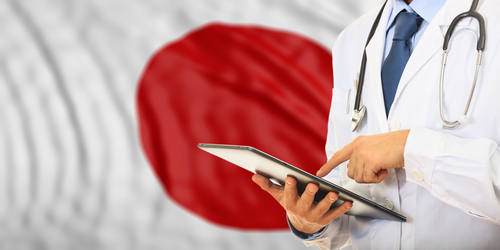 “YLB will continue to offer high-quality yet cost-effective medical solutions to the Japanese patients. YLB113 is one such product that reduces the healthcare burden of patients suffering from rheumatoid arthritis and juvenile idiopathic arthritis,” he said. YLB113 is an engineered antibody developed by YL Biologics, a subsidiary company of Lupin, to have a similar therapeutic activity and safety profile as that of Amgen and Pfizer’s Enbrel — one of the first anti-TNF biologic therapies developed and approved to treat severe rheumatoid arthritis. PMDA’s positive decision was supported by the results of a global Phase 3 trial (2015-002809-12) that tested and compared YLB113 with Enbrel. The trial included more than 500 rheumatoid arthritis patients across 11 countries. Of these, more than 260 were followed in 62 rheumatology clinics in Japan. 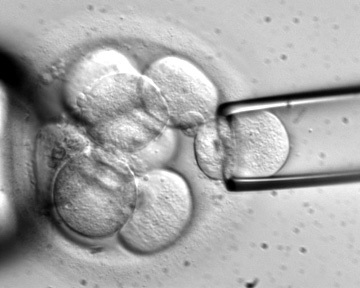 Patients were randomized to receive treatment with Enbrel or YLB113 for up to 52 weeks. Results showed that treatment with YLB113 induced significant clinical improvements, as measured by the American College of Rheumatology 20 (ACR20) response rate — meaning an improvement of at least 20% in disease activity, the companies reported. This response was found to be equivalent, and within a pre-defined acceptable variability range, to that reported in the Enbrel-treated group. The biosimilar’s safety and tolerability profiles, as well as its potential to activate the immune system, were also found to be similar to those reported on prior studies with Enbrel. The company is planning to pursue regulatory approval in other pharmaceutical markets including Europe, Canada, Australia, the Middle East, Southeast Asia, and Latin America. In May 2018, Lupin announced that the European Medicines Agency had accepted for review its marketing authorization application for YLB113 as treatment for rheumatoid arthritis, polyarticular juvenile idiopathic arthritis, plaque psoriasis, psoriatic arthritis, and ankylosing spondylitis, among other indications. Lupin plans to seek approval of YLB113 with the U.S. Food and Drug Administration by 2020. “[Enbrel] is used globally in the fight against a range of severe autoimmune disorders. The successful filing and eventual approval of YLB113 is a major step in the fight against these diseases, and will allow access to an effective, affordable equivalent,” Cyrus Karkaria, PhD, president of Lupin Biotech, said. Tagged Enbrel, etanercept, Japan, Kyowa, Lupin, marketing authorization, YL Biologics, YLB113.